The so called beer restaurant Teerenpeli at Kamppi has a new, delicious beer on offer. They brewed a dark rye beer called Rentoreino. You might have tried something else also from common beer brands like Karhu. But if you happen to pass by Teerenpeli tonight, stop for one of those really good beers. The rye gives the beer a unique taste. Especially for fans of dark beer it is really worth dropping by. For members it is even on special offer during May (6 € per 0,5l). Teerenpeli is anyway always worth a visit. It has a nice and cozy lounge atmosphere and a huge variety of beer, wine and ciders. Most beers and ciders are from their own brewery in Lahti. 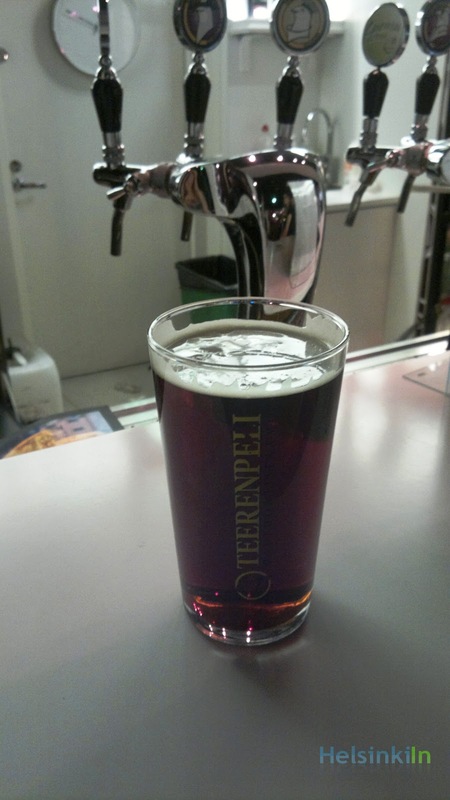 Teerenpeli is also one of the few places to get an ale rather than the omnipresent lager.